I just finished rereading Watchman Nee’s classic work. As I read it, I thought it might be helpful to share some of the passages which I found particularly challenging or enlightening. Perhaps these passages will bless you and promote further growth and fruitfulness in your own walk with Christ. How sad that some still imagine that if they could only absorb more doctrinal teachings, accumulate more preaching materials, and assimilate more Biblical expositions, they would be profitable to God. This is absolutely wrong. God’s hand is upon you to break you. Not according to your will, but His! Not according to your thoughts, but His! Not according to your decision, but His! Our difficulty is that while God withstands us, we blame others. We react like that prophet who, blind to God’s hand, blamed the burro for refusing to budge. To impulsively do one thing and suddenly do another indicates that we are yet unstable. How can we be useable when we are so undependable? Our efforts will simply be in vain. Consequently, we must pass through God’s dealings. Here is a common misconception— people think they have belief in the Gospel because they have been either mentally convinced of its doctrinal correctness or emotionally excited by its appeal. But in actual fact, those who respond to the Gospel for either of these two reasons do not last long. Yes, the intellect and emotions need to be reached, but these alone are insufficient. Mind may reach mind, and emotions may reach emotions, but salvation probes much deeper. The divine Spirit must touch the human spirit. Only when the spirit of the preacher shines and blossoms forth do sinners fall down and capitulate to God. This is the released spirit necessary for preaching the Gospel. Do you not realize that all the events of your life for the past five or ten years were ordered by God for your education? If you murmured and complained, you have grievously failed to recognize His hand. If you thought you were just unfortunate and unlucky, you are ignorant of the Holy Spirit’s discipline. Remember that whatever happens to us is measured by the hand of God for our supreme good. We may be able to mouth the words, “Not my will but Thine be done,” but how often do we really allow the Lord to take over when things happen? The less you know yourself, the more you will easily utter such words. The less enlightened you are about yourself, the more submissive to God you appear to be in your own eyes. He who speaks easily and cheaply has proven that he has never paid the price. Should God be so merciful so as to grant us even a small degree of revelation—seeing ourselves as we are seen by Him—we shall immediately be smitten to the ground. We need not try to be humble. Those who live in the light cannot be proud. Only those dwelling in darkness can be proud. Outside of God’s light, men can be arrogant and unapproachable. But under His revealing light, they will surely prostrate themselves before Him. Being slain by the light is one of the greatest imperatives in Christian experiences. Paul had no time to run away from the roadside to kneel down before the light shined upon him. Instead, he fell immediately! He dropped instantly to the ground, right on the spot, without taking another step. Although he was naturally self-assertive and intensely self-confident, he reacted to the light by falling down, feeling somewhat dumbfounded, yet inwardly exposed. How effectual was this light when it struck him to the ground! Let us note that this happened immediately—all at once! How often when the Lord deals with us, we see only the outward hand of man. This is entirely wrong. Like the Psalmist, our attitude should be, “I was dumb, I opened not my mouth, for Thou hast done it” (Psalm 39:9). We must remember that it is God Who is behind all dealings, not our brother or sister or any other visible person. The Lord is not so much concerned with our teachings or sermons as He is with the impression we give. What is it that comes out of us—this is the final yardstick? Do we impress people with ourselves, or with the Lord? Do we draw people to our teaching, or to the Lord? This is genuinely vital. It determines the value of all our work and labor. And further, some brothers are always brimming over with ideas and opinions. The Lord in the Bible affirms, “Is there anything too hard for Me?” (Jer. 32:27), but these brothers maintain that nothing is too hard for them! They boast that they can do everything. But eventually it is strange that they somehow fail in every undertaking. Things that before seemed so easy now fall apart in their hands. In their perplexity, they ask, “Why?” This is how the Holy Spirit deals with them in order to reach His necessary target. Now we must clearly understand what is meant by being spiritually edified. It cannot mean the progressive development of thoughts, nor an increased improvement of understanding, nor a greater accumulation of doctrinal truth. Spiritual edification simply means that my spirit has once more been in fresh contact with God’s Spirit. It does not matter through whom or in what place—whether in the meeting or in individual fellowship—as long as the Spirit of God is moving, I am nonetheless nourished and revived. My spirit, whenever it beholds and reflects the divine Spirit, is always edified and refreshed (2 Cor. 3:18). Like a mirror that is always bright and shining by constant polishing, so my spirit is always bright and shining by a constant contact with the released spirit of other believers, through whom the life-giving Spirit flows. Let us ask ourselves: “Are we receptive to the supply flowing from others?” If we cannot receive edification from others, it is likely that a thick shell of our outward man is preventing us from touching their released spirit. But if we are broken, as soon as their spirit flows, we receive help. 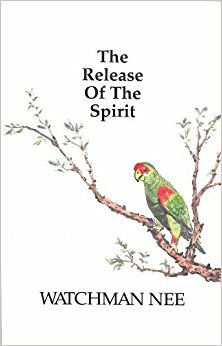 The question is, then, not how powerful is someone’s individual spirit, but has his spirit circulated in the Body and touched the spirit of every member? This mutual flowing of everyone’s spirit in the members of the Body is what revives and builds each other up.